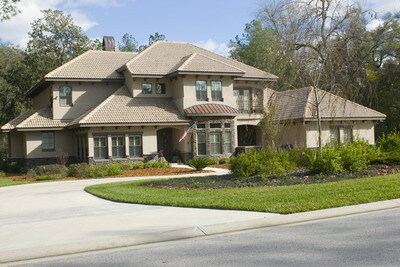 One of the most important parts of building, owning, and maintaining a home is the construction and upkeep of the roof. From the very early planning and designing stages to beginning to think about repairs and renovation it is important that a home owner does not neglect their roof. Proper design and on going maintenance is a critical part of the roofing process and if this is neglected then there is a serious potential of costly damage. This can not only have an immediate effect on the home, but also a long term impact on the future of your building. Not only can a roof affect the way a home looks and feels, it can have a profound impact on the energy costs of the home as well. The roof provides a protective covering from the environment and also manages the impact of the sun and heat. It is the first element of protection your home has against the eroding and damaging aspects of the wind, rain, ice, and snow. There are many different types of roofs and roofing materials, each having a variety of characteristics. Each material has its own advantages and disadvantages and whether you decide on shakes and shingles, thatch, slate, stone slab, ceramic ties, or metal will depend on your desired look, effect, and budget. With the roof making up nearly 40% of what is visible of the out side of the building it is important that even if you are remolding it is wise to seek the advice of a professional. Kroll Construction understands that your roof is a complex system of components that must all work together properly to ensure the highest level of desired protection. Kroll will examine the entire roofing system to be certain that aspects like the roof deck, ridge vent, chimney, vent pipes, soffits, and gutter system are all installed and optimized to best protect you from the weather. Using quality materials Kroll utilizes asphalt shingles from nationally-known manufactures that are warranted to grant years of solid and dependable protection. Customers can have the peace of mind knowing that Kroll roofing installation teams are fully licensed, insured, factory certified and certified by Owens Corning. This assures that warranties will be fully effective. Not only does Kroll fully guaranty their work, but they also offer a free roof inspection and estimate. Just complete the on line form available HERE, or call us at (888) 388-6440 to schedule a free consultation by phone.